Look Out Bell, and Wenonah ! Nice work as Always Brian ! I like the router set up to duplicate the shape ! I for one would be game for more ! I've been busy with Honey Dos, and Daddy Dos. I'm enjoying seeing someone building something though ! Nice job on the paddles Brian ! They will compliment your canoes nicely ! Correct it if you can, but I don't think an 1/8" is enough to get too concerned about ! 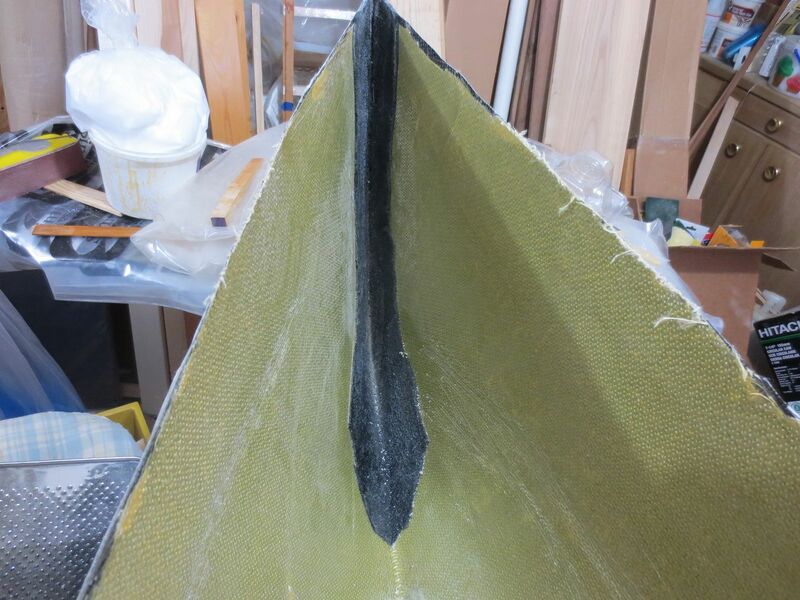 I have been known to slip a wedge between a stripped up hull and a form to level, before glassing ! It worked ! Be sure to cover the wedge with tape to prevent it from sticking ! The Yoke looks cool, as well as the canoe ! I don't build with stems, and I see on the internet, Beginners having trouble beveling stems. I wonder if Bear Mountain could put up a very detailed video for educating Beginners on this process ? Thickness of stem forms, material selection, and glue reccomendations. Topic: How to lay the fiberglass? Re: How to lay the fiberglass? You are looking Before leap ! That's a good sign !